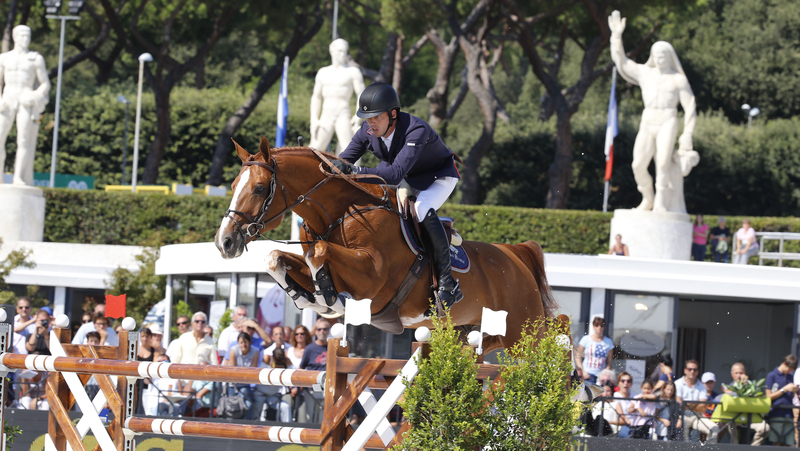 This weekend marks the 15th leg of the Longines Global Champions Tour season and many of the stars of show jumping are here in the Italian capital of Rome. 62 athletes from 20 different nations will take part in this weekend’s event, with 120 horses competing in the CSI5* classes alone. Overall LGCT Ranking leader Ben Maher (GBR) brings with him his two standout stars, nine year olds Explosion W and Winning Good, with the British rider able to wrap up the Championship title if he adds a third LGCT Grand Prix win to his list of achievements. Each horse has won Maher a LGCT Grand Prix (Explosion in Madrid and Winning Good in Saint Tropez), and both have proved invaluable as team players for the GCL London Knights team. There will be plenty of other LGCT Grand Prix winning horses in action, including Scott Brash’s (GBR) Hello Mr President and Edwina Tops-Alexander’s (AUS) California, as well as World Number 1 Harrie Smolders’ (NED) Emerald. The chestnut stallion has only competed in five events of the Championship so far this year, and is looking fresh and on flying form ahead of Rome. Local hero Lorenzo de Luca (ITA) brings top stallion Halifax van het Kluizebos, as well as new mount Cynar V, and the Italian rider will be hoping to take a home win and earn himself a place in the all-important GC Playoffs and Longines Global Champions Tour Super Grand Prix. One of the most featured faces on the Championship season so far is Christian Kukuk’s (GER) Limoncello NT, the popular horse eye-catching (literally) with his unique blue eye. He has made 28 appearances however has only recorded a highest scoring of 7th (three times this year). Daniel Deusser (GER) brings Tobago Z, another horse who has competed at 8 LGCT events this year. The small but mighty stallion has yet to win a LGCT Grand Prix this season, however has come nail-bitingly close with a 2nd at LGCT Mexico City and a 3rd place at LGCT Shanghai - will Rome be third time lucky for the talented horse? Other familiar faces include Simon Delestre’s (FRA) Chesall Zimquest, Jessica Springsteen’s (USA) RMF Swinny du Parc, Emanuele Gaudiano’s (ITA) Caspar 232, Bertram Allen’s (IRL) Molly Malone and Hector van d’Abdijhoeve, Olivier Philippaerts’ (BEL) H&M Legend of Love, Jos Verlooy’s (BEL) Caracas and Ludger Beerbaum’s (GER) Chiara and Casello.